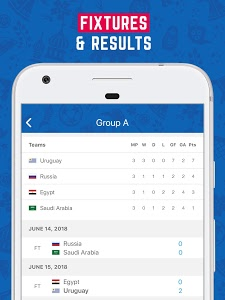 You won’t miss any of the World Cup 2018 action from Russia with LiveScore: World Football 2018. From fixtures, live scores and results to cup news, videos and stats, we’ll bring you all you need to know about the summer’s biggest sports event. 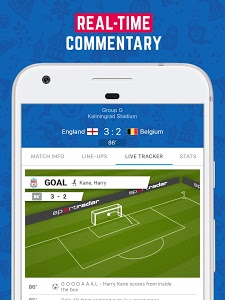 The app is brought to you by LiveScore, the world leaders in live score updates with millions of users across the globe. 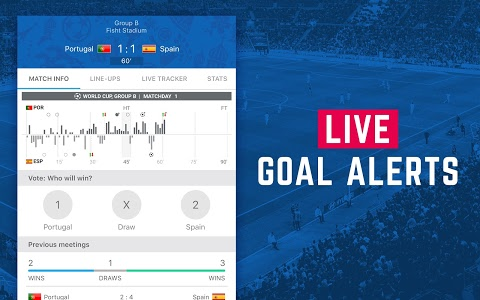 LiveScore: World Football 2018 comes with the same reliability and speed as you’d expect from its sister service, plus a host of new features to help you follow the scores and World Cup action. 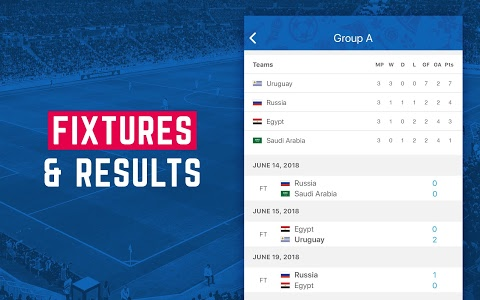 As the schedule unfolds and the results come in from the Russia 2018 tournament, you’ll find out first – whichever country you’re supporting. 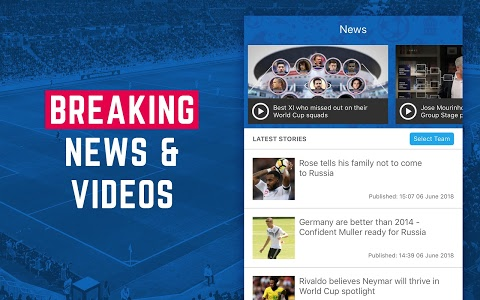 -Watch videos bringing you the latest breaking news alerts direct from Russia and previews for all of the World Cup 2018 tournament’s 64 matches. 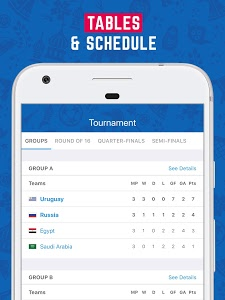 -Whether you support England, Germany, Brazil, Argentina, Nigeria or any of the other 27 countries, you’ll be able to access the entire World Cup 2018 tournament schedule and plot your team’s route from the group stages to the final. 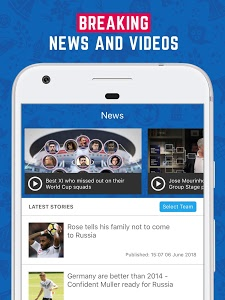 -Look at team profiles to catch up on your favourite country or to assess the competition, with dedicated news, videos and stats all available. -Find out how your favourite cup players are performing. From Mane to Messi to Muller, see who’s leading the goal scorer charts, providing the most assists and spending the most minutes on the pitch. You can now also see your player’s career info and how they’re getting on at Russia 2018, as well as their world qualifier 2018 stats. 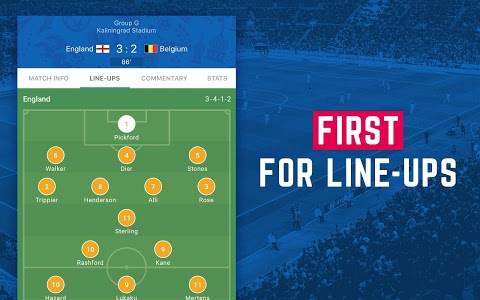 If that doesn’t help you pick your World Cup Fantasy Football team, we don’t know what will! 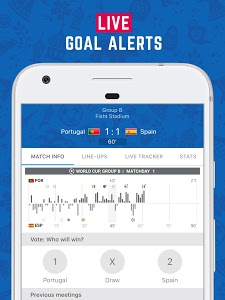 -Detailed match analysis is at your fingertips. From attacking momentum to live ball tracking and commentary, you can view the match as if you’re there in Russia with top football pundits. 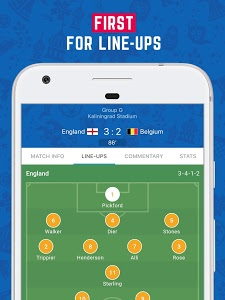 -Get alerts for multiple World Cup 2018 matches at the same time so you can keep on top of what’s happening across all of the live groups – and keep track of your bets. 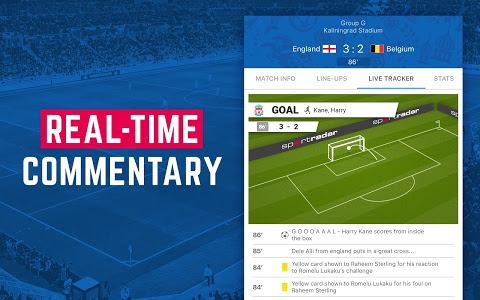 -Highlights and detailed possession, shots and fouls stats at the end of the match. -Read the latest football updates, previews, on-the-whistle match reports and reaction to the biggest stories from all 32 cup teams. Great for when you’re making the last switches in your World Cup Fantasy Football team. as football, calcio, fussball and soccer fans converge to celebrate the beautiful game. Thanks for downloading our app. It’s tournament time! We’ve made some minor bug fixes and small design changes to make sure your experience is as smooth as possible for 2018’s big event. 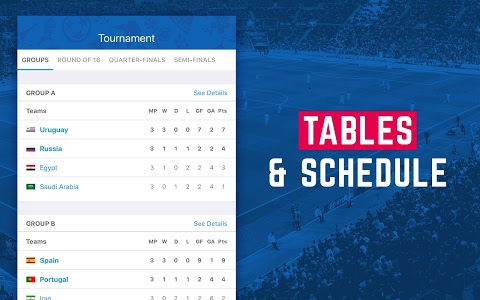 Get live score updates for all of the matches in Russia, plus cup news, videos, tables, fixtures, schedules and stats. Don’t miss a second of the action with LiveScore: World Football 2018. After receiving some feedback from our users, we’ve fixed a couple of small bugs to help keep the app fast and stable at all times. 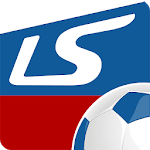 Similar to "LiveScore: World Football 2018"